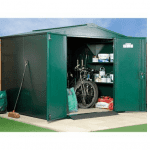 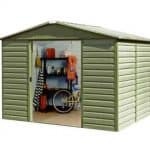 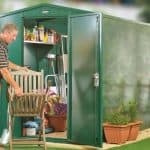 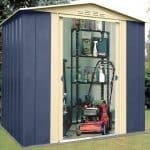 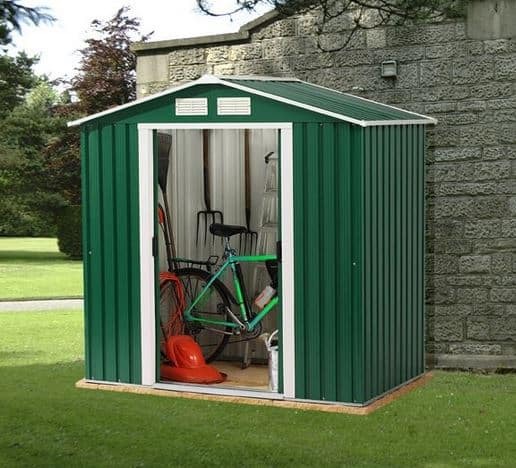 This metal shed is a great looking building, and has an apex roof that allows you to store tools that are that little bit taller than others. 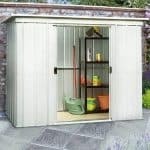 This makes a big difference when you’re working in the garden. 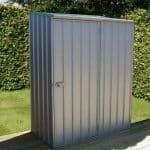 The shed has been constructed from the finest metals, and the manufacturer has addressed the issue of rust by providing a guarantee against rust perforation.